Missionary - Scottsdale, AZ | Michael N. Desvigne M.D. During residency training for plastic surgery in the U.S. Air Force, Dr. Desvigne discovered the pleasure of giving back. As a reward to the senior residents, he had the opportunity to travel to Honduras to perform plastic surgery. This was the beginning of opportunities to give back and commit himself to helping others who did not have access to plastic surgeons and the specialty of its care. His work in Haiti was particularly noteworthy. After the devastating earthquake he traveled alongside his wife while working with a team of surgeons performing surgical wound reconstruction as well as basic wound care thus to prevent infection and permanent defects. 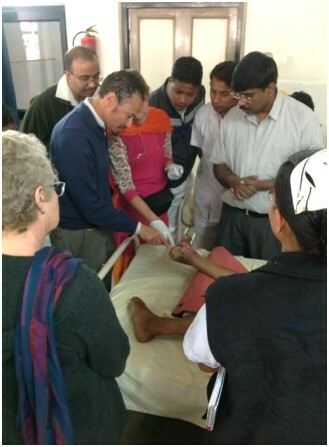 Dr. Desvigne more recently visited Raxaul, India where he and his wife joined Dr. Barbara Bates Jenson, PhD, RN, WOCN, FAAN and Professor of Nursing at UCLA. There, they worked closely with a local hospital to teach and train staff to perform basic wound care that would help in reducing their infection rate. Additionally, they taught the facility to use placental tissue for the first time as a dressing for deep tissue burns. 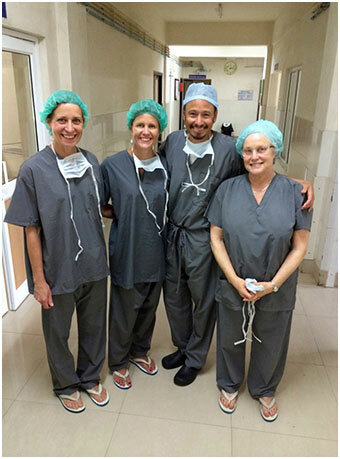 Dr. Desvigne and his wife have enjoyed their time volunteering on medical missions throughout the world. His focus during missionary travels is to teach and expand the skill set of the local medical staff so they can continue to grow and tend to their community in the future.